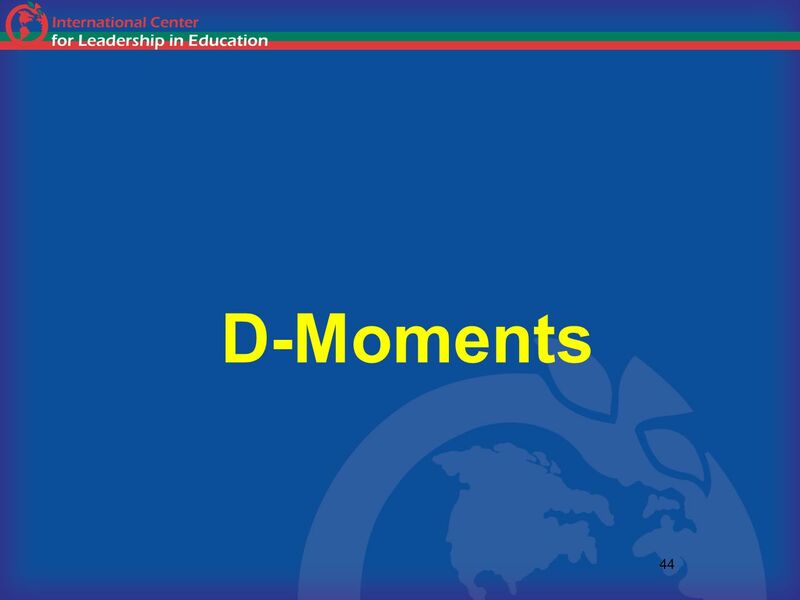 All participants are on mute. 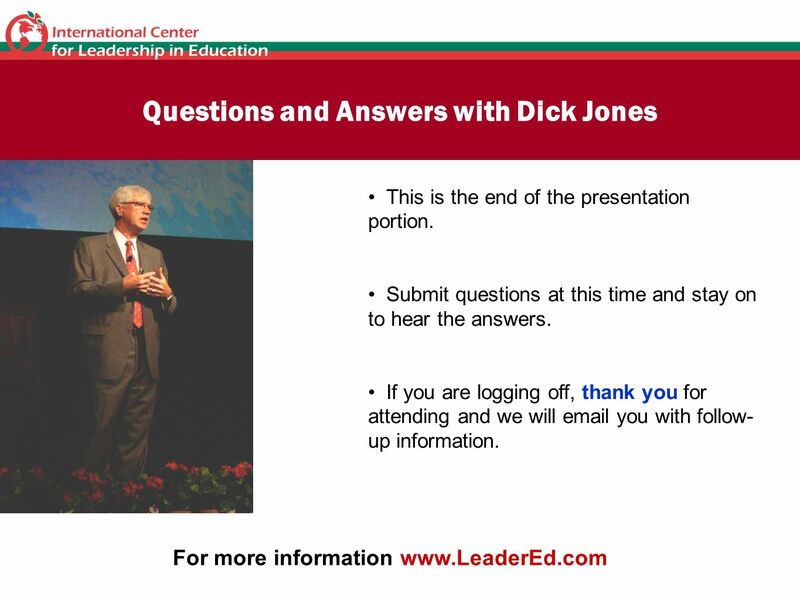 1 All participants are on mute. 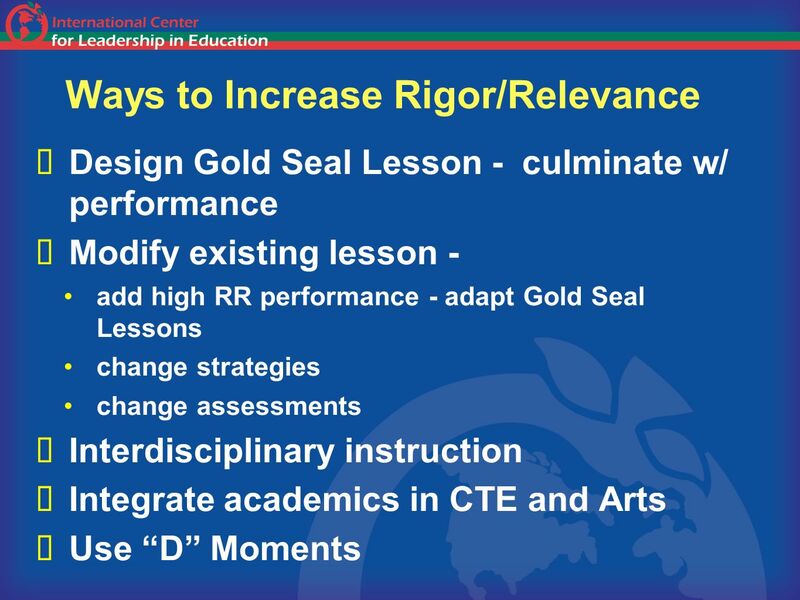 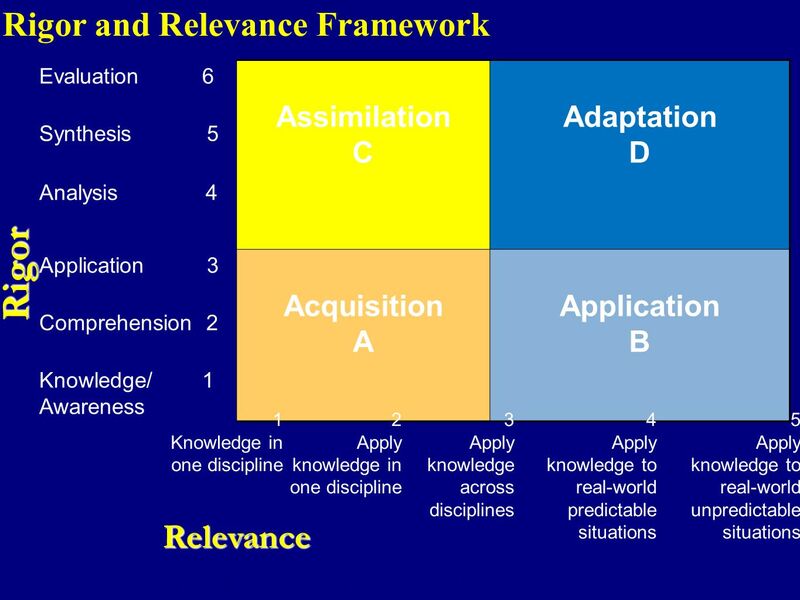 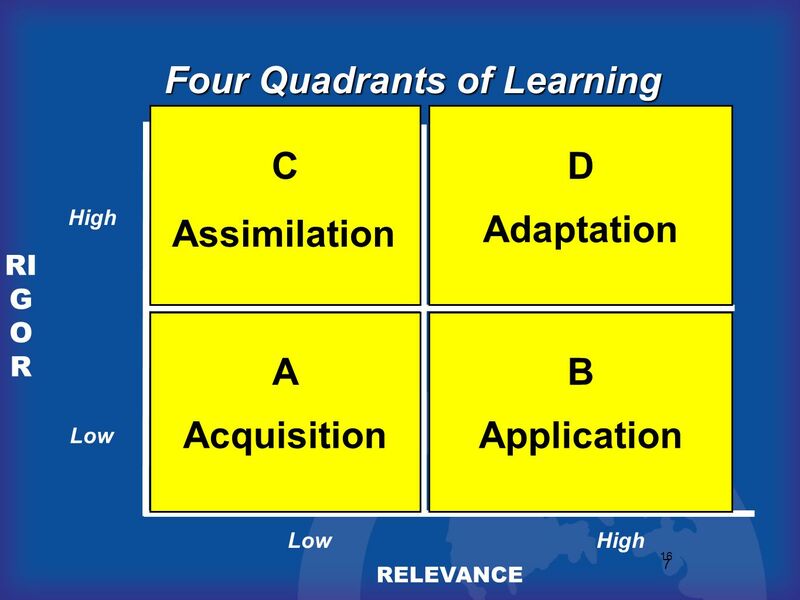 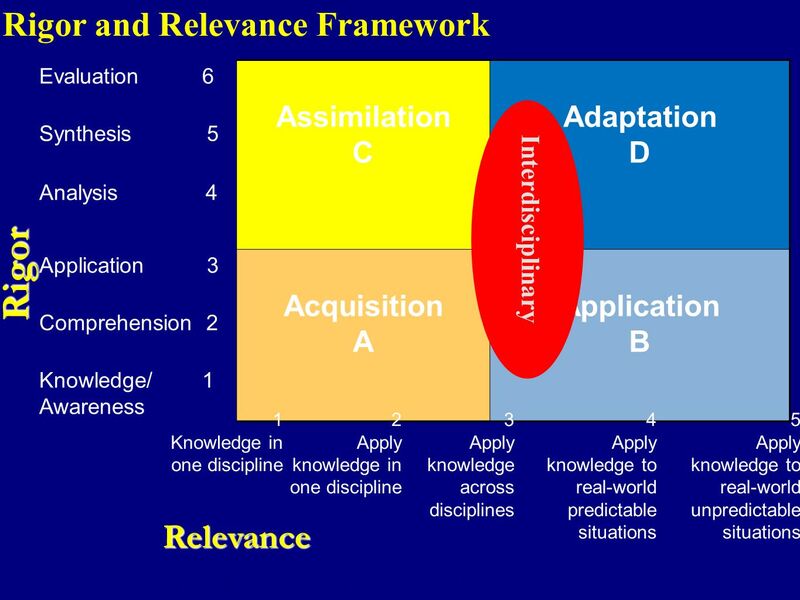 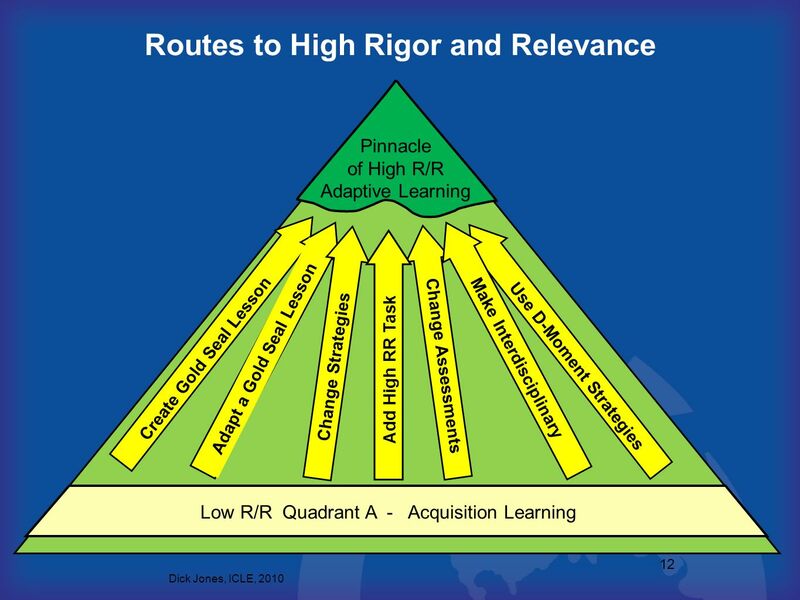 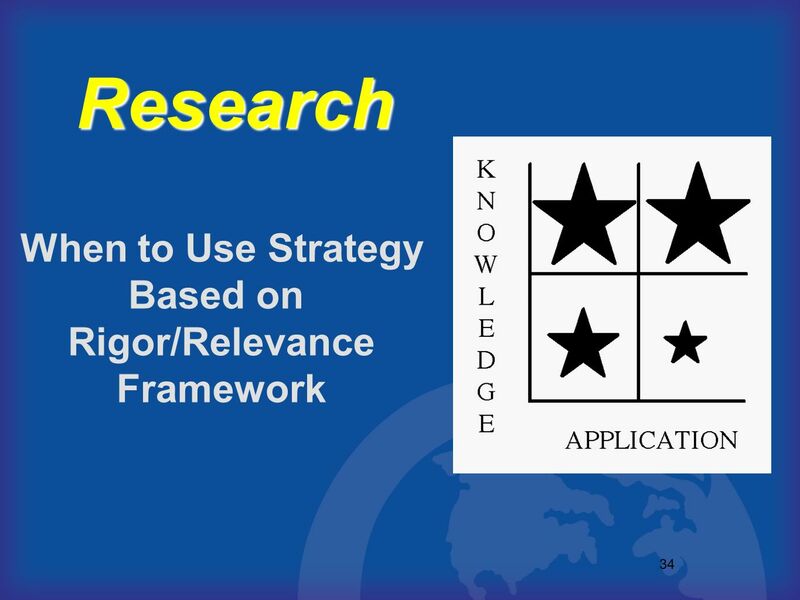 Strategies for Increasing Rigor and Relevance in the Classroom Dr. Richard Jones, Senior Consultant International Center for Leadership in Education To hear this webinar you will need to choose your audio mode. 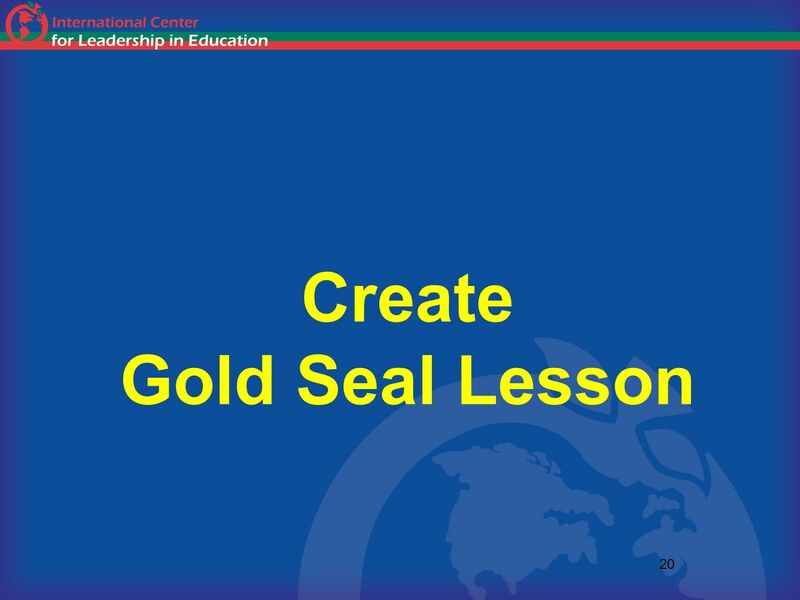 Go to the control panel in the upper right corner of your screen and click the button of how you will be listening. 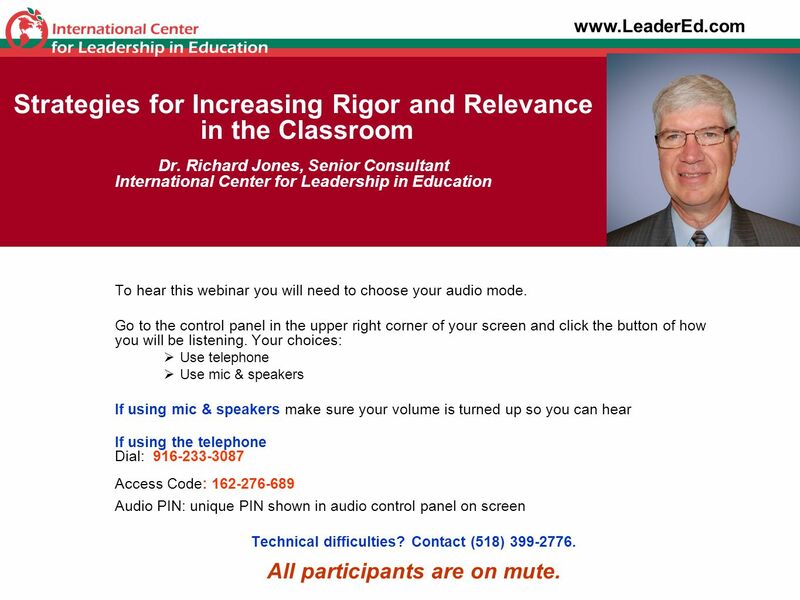 Your choices: Use telephone Use mic & speakers If using mic & speakers make sure your volume is turned up so you can hear If using the telephone Dial: Access Code: Audio PIN: unique PIN shown in audio control panel on screen Technical difficulties? 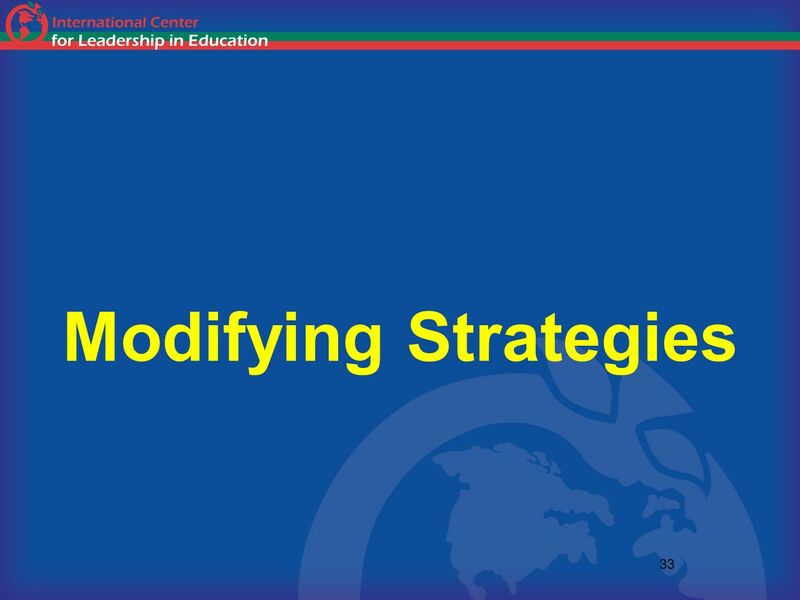 Contact (518) All participants are on mute. 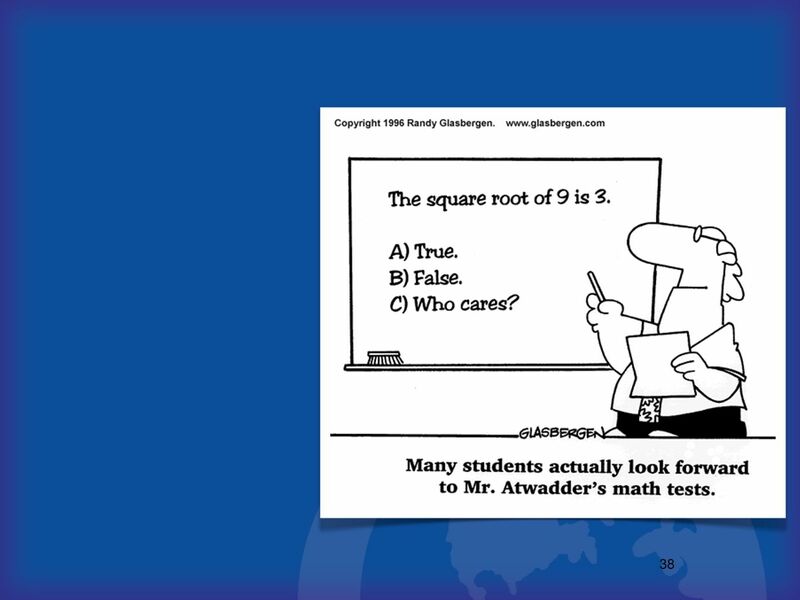 3 ???? 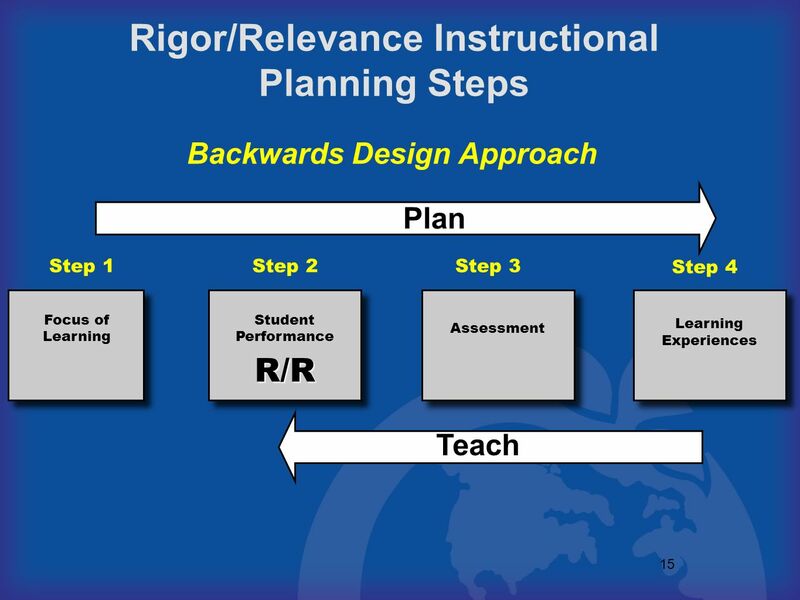 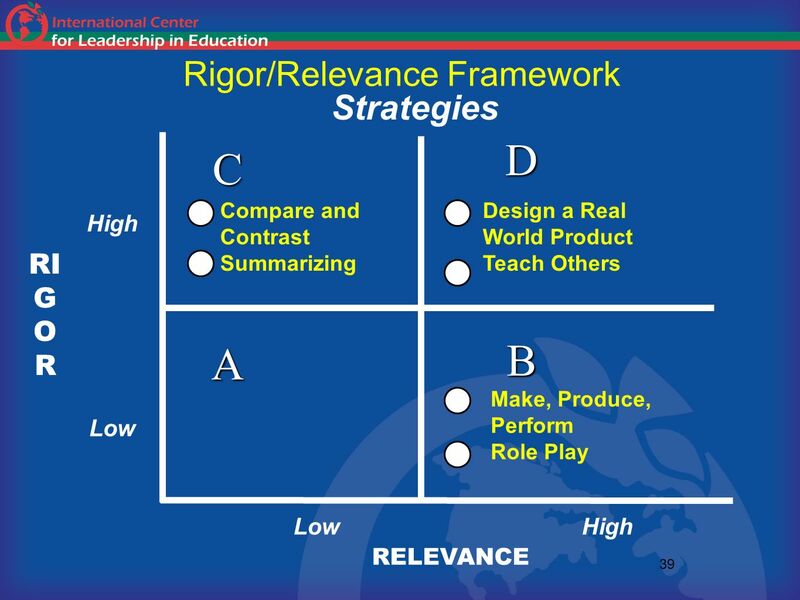 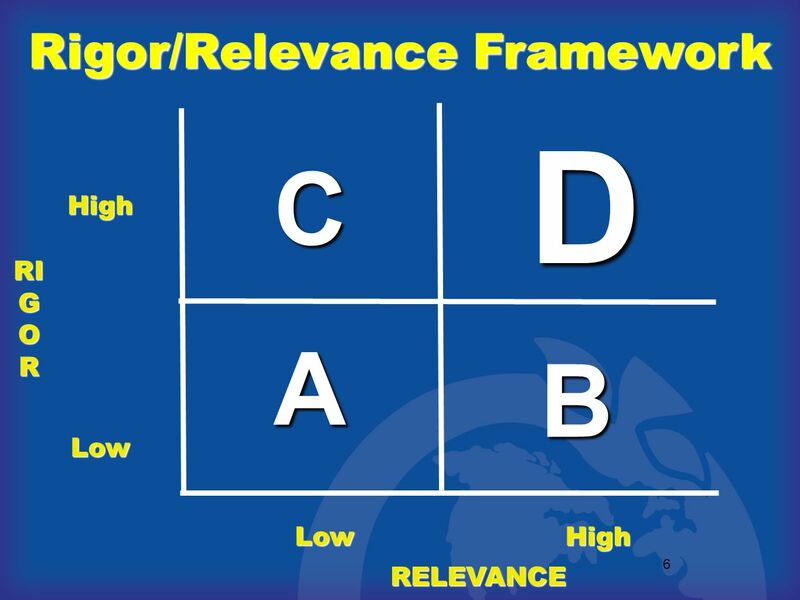 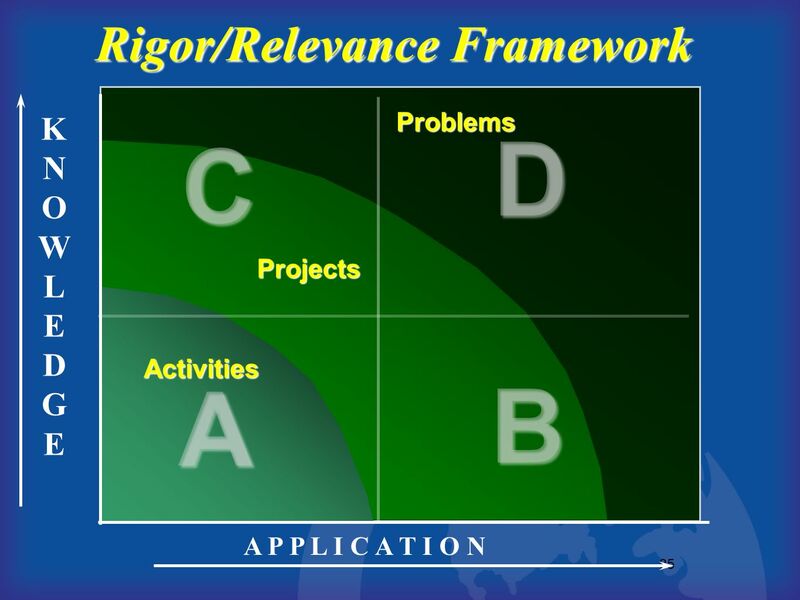 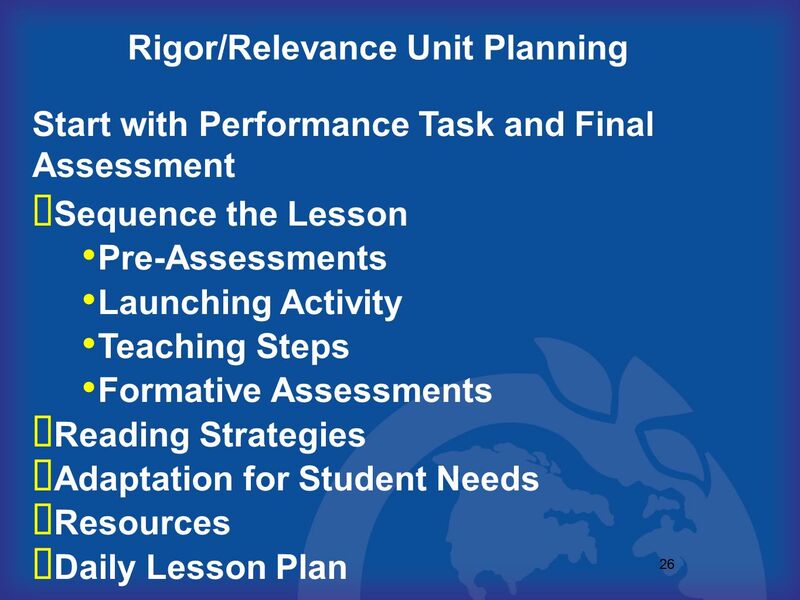 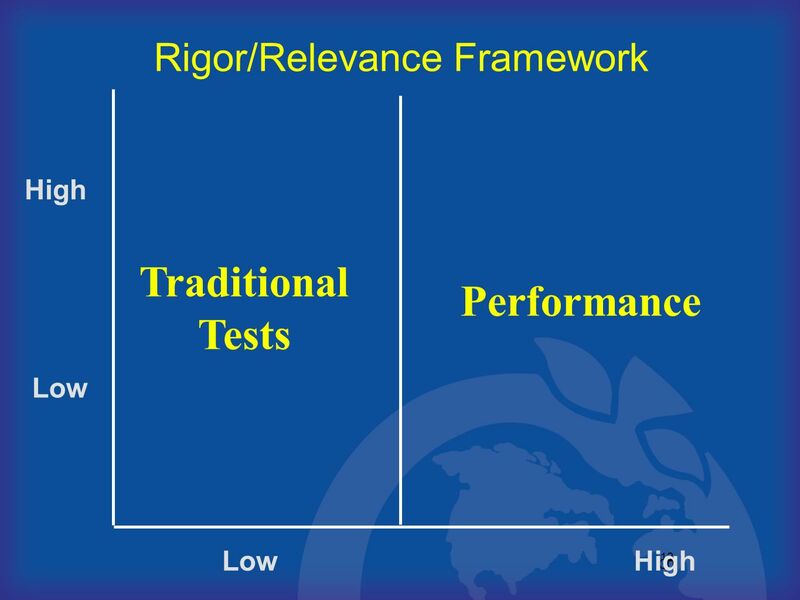 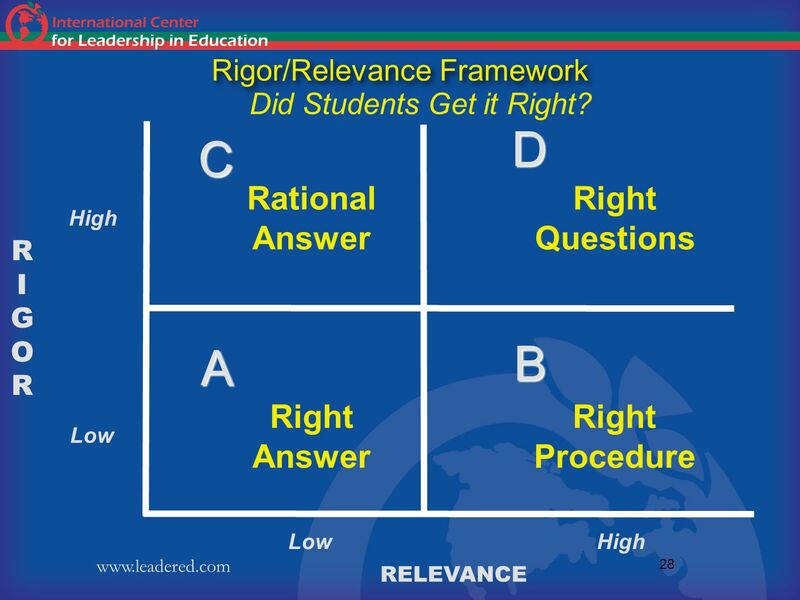 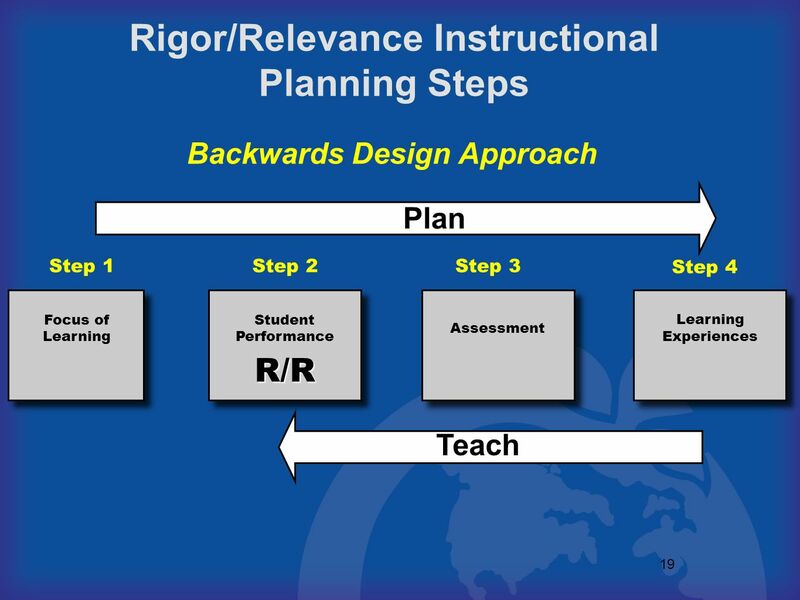 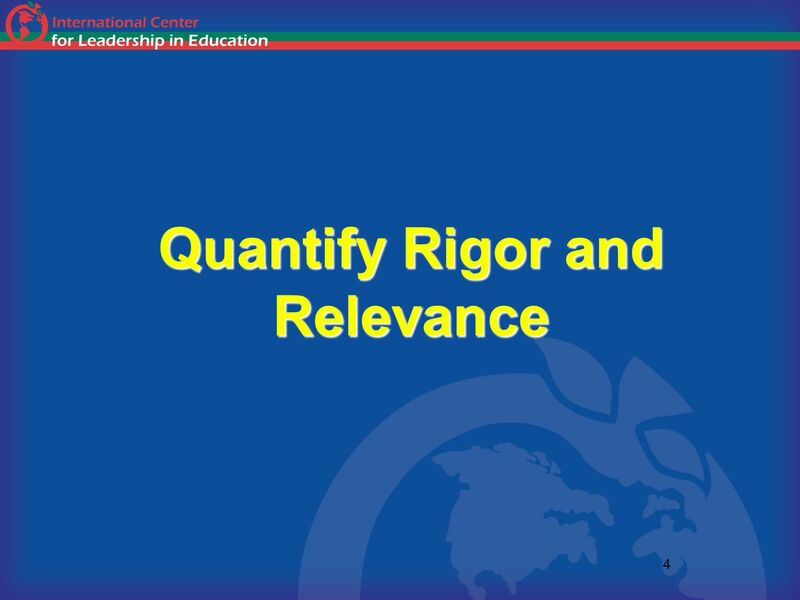 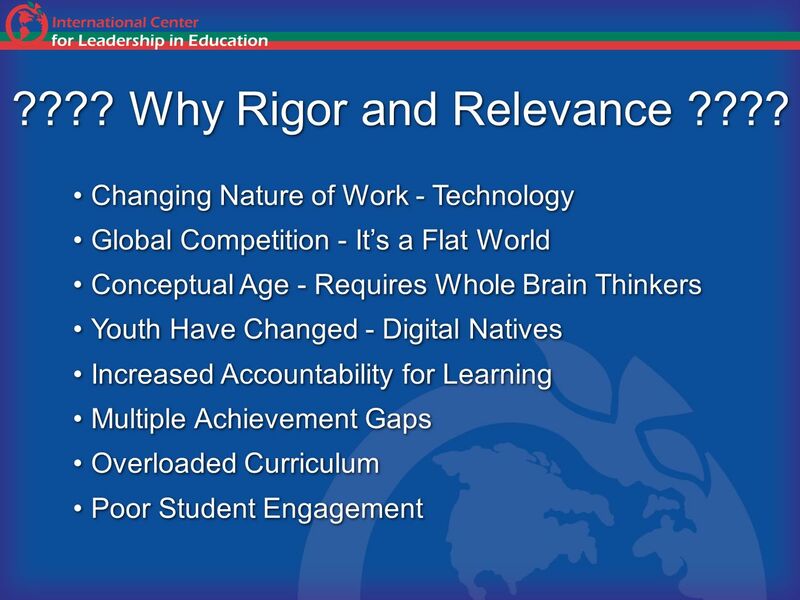 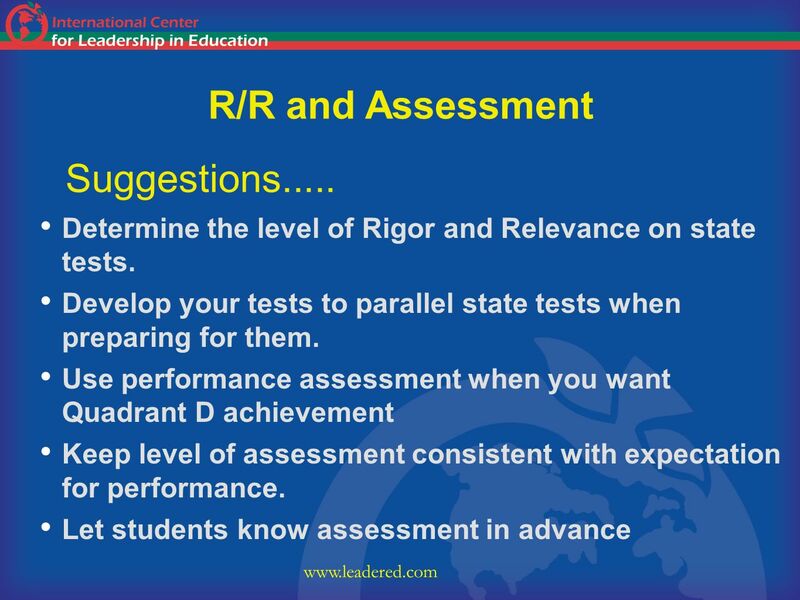 Why Rigor and Relevance ???? 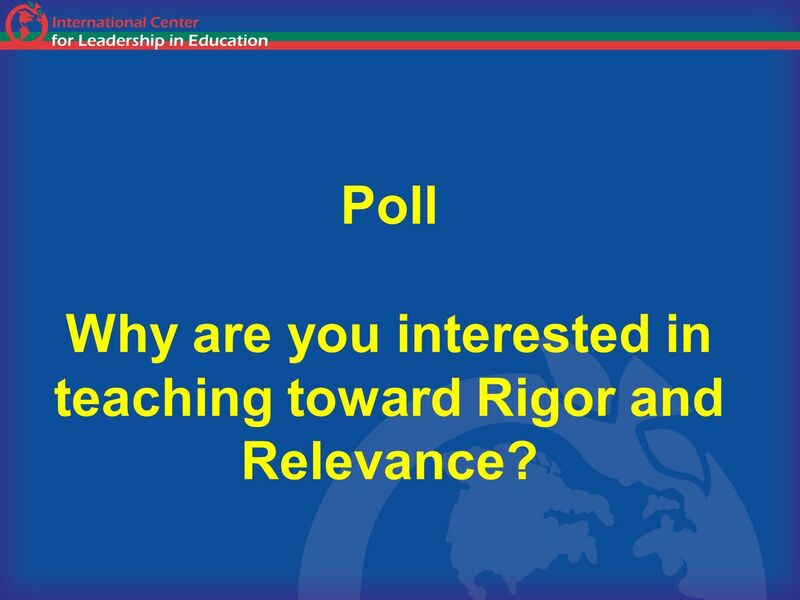 8 Poll Why are you interested in teaching toward Rigor and Relevance? 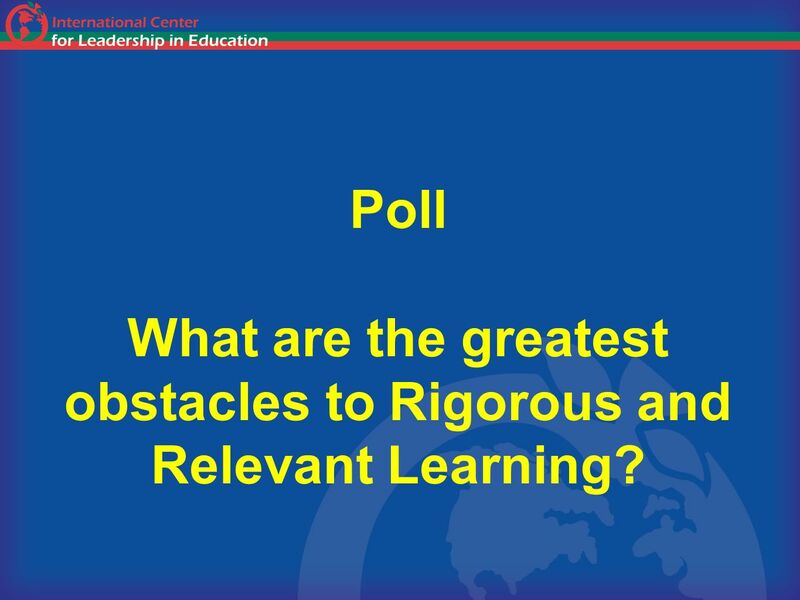 9 Poll What are the greatest obstacles to Rigorous and Relevant Learning? 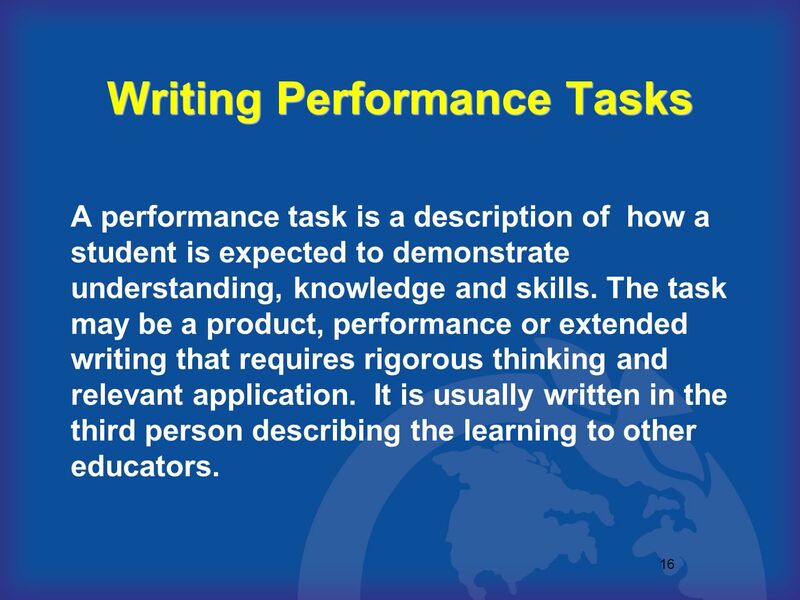 A performance task is a description of how a student is expected to demonstrate understanding, knowledge and skills. 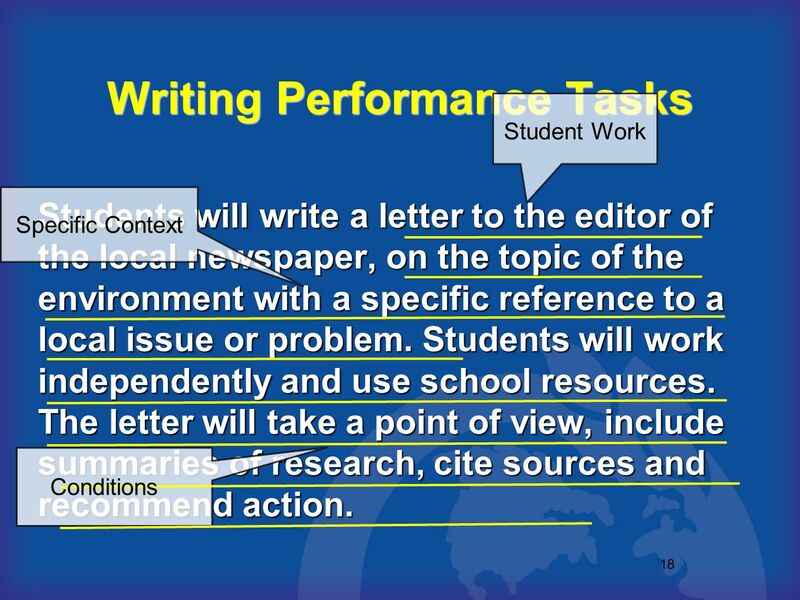 The task may be a product, performance or extended writing that requires rigorous thinking and relevant application. 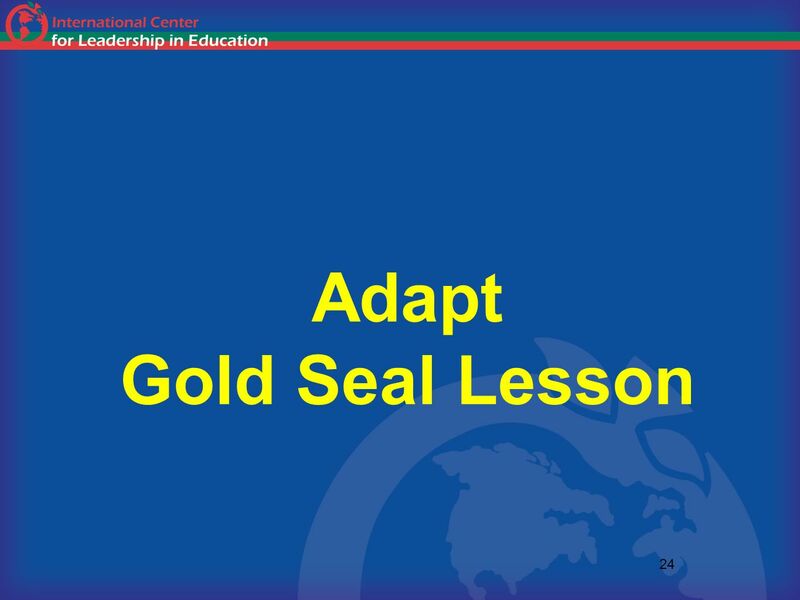 It is usually written in the third person describing the learning to other educators. 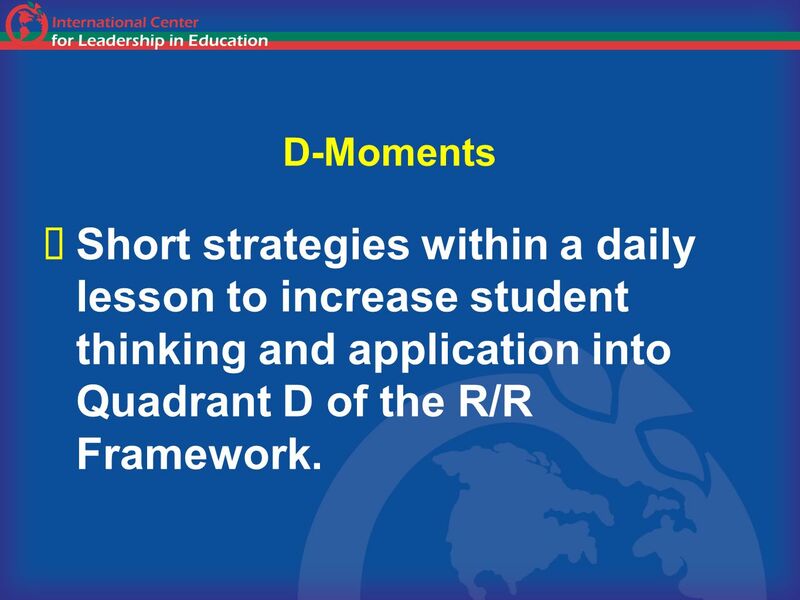 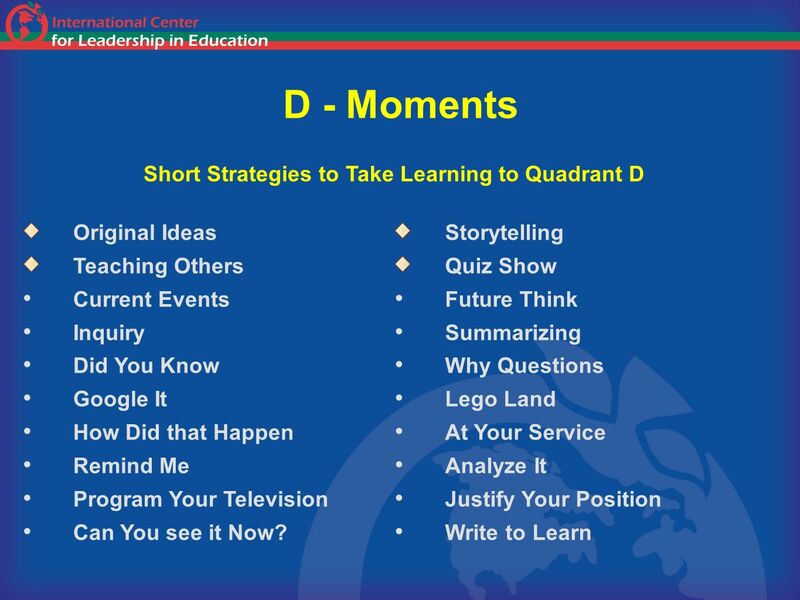 45 D-Moments Short strategies within a daily lesson to increase student thinking and application into Quadrant D of the R/R Framework. 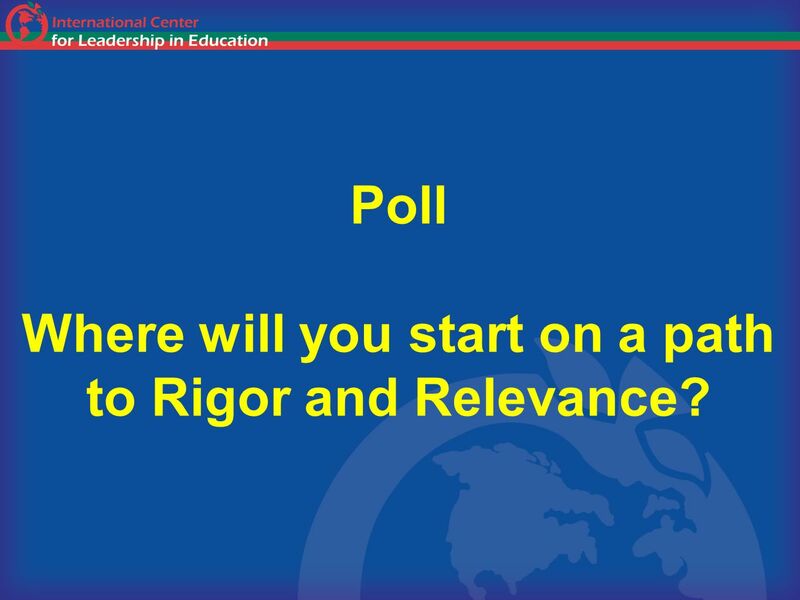 48 Poll Where will you start on a path to Rigor and Relevance? 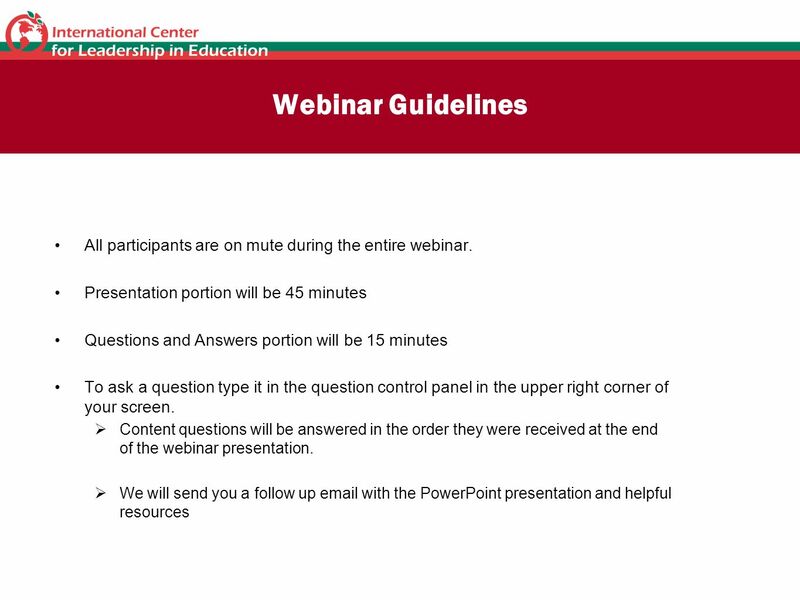 Download ppt "All participants are on mute." 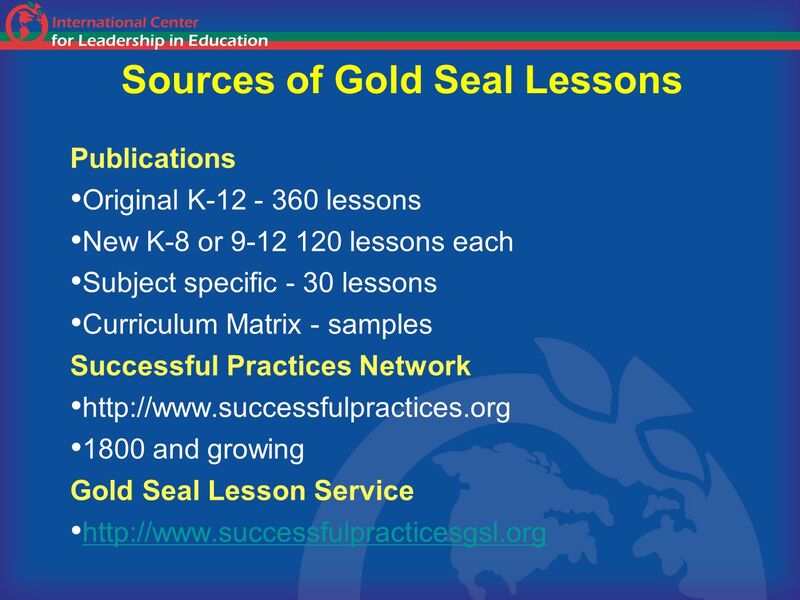 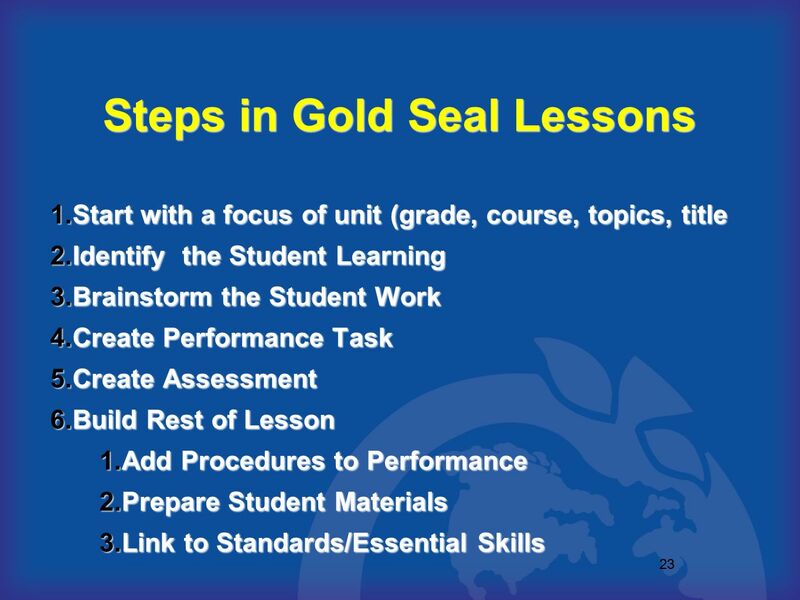 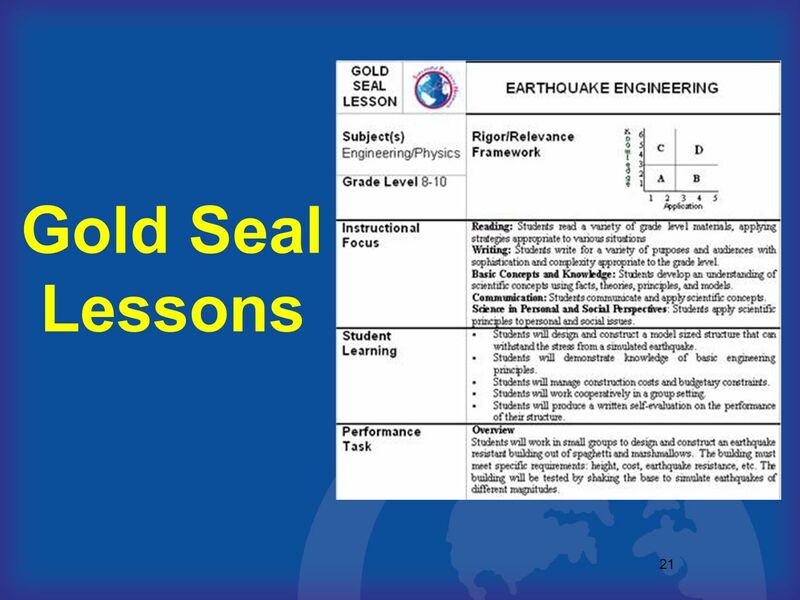 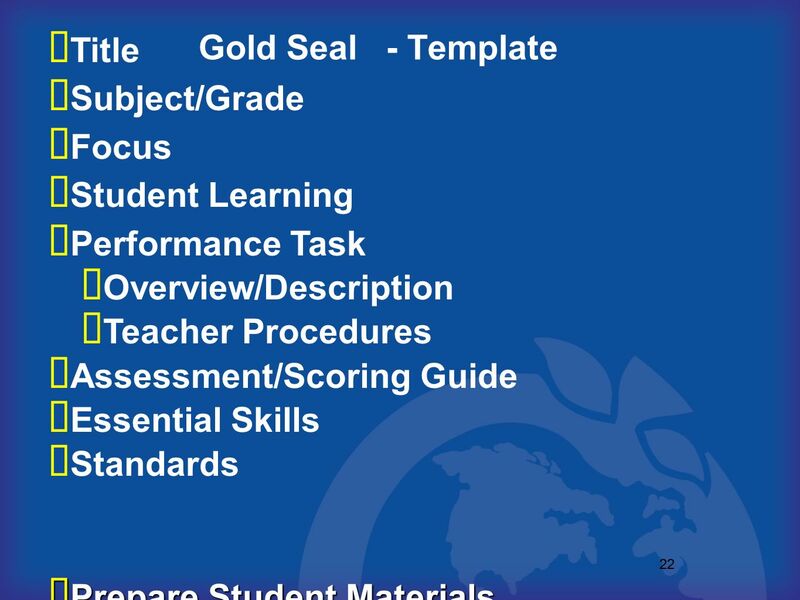 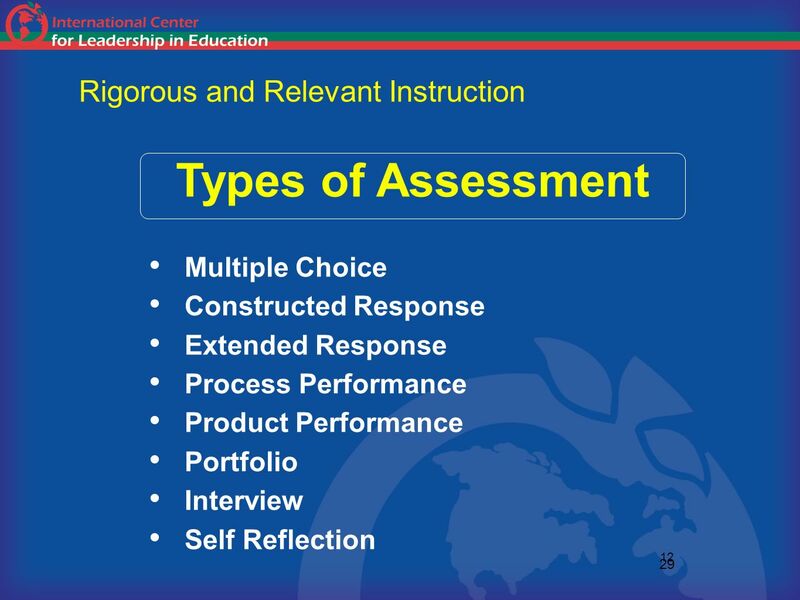 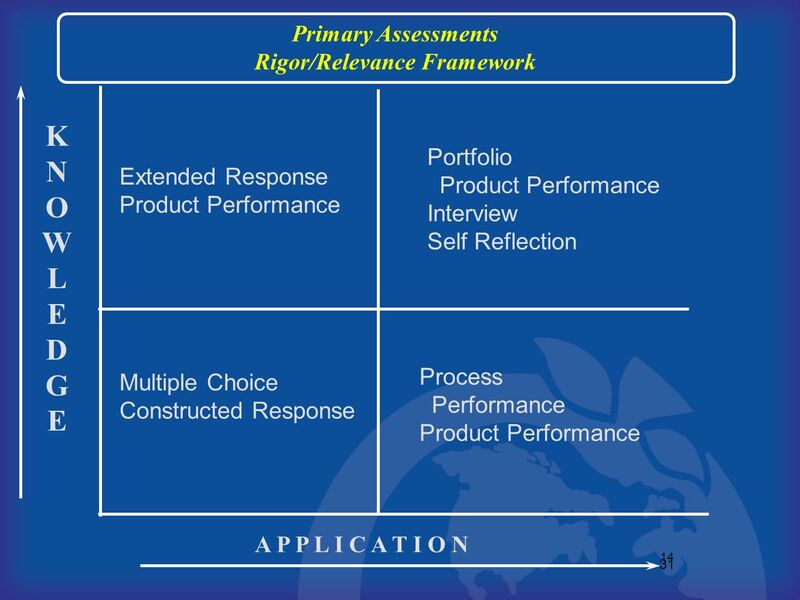 International Center for Leadership in Education, Inc. INSTRUCTIONAL STRATEGIES: How to Teach for Rigor and Relevance Helen M.
To hear this webinar you will need to choose your audio mode. 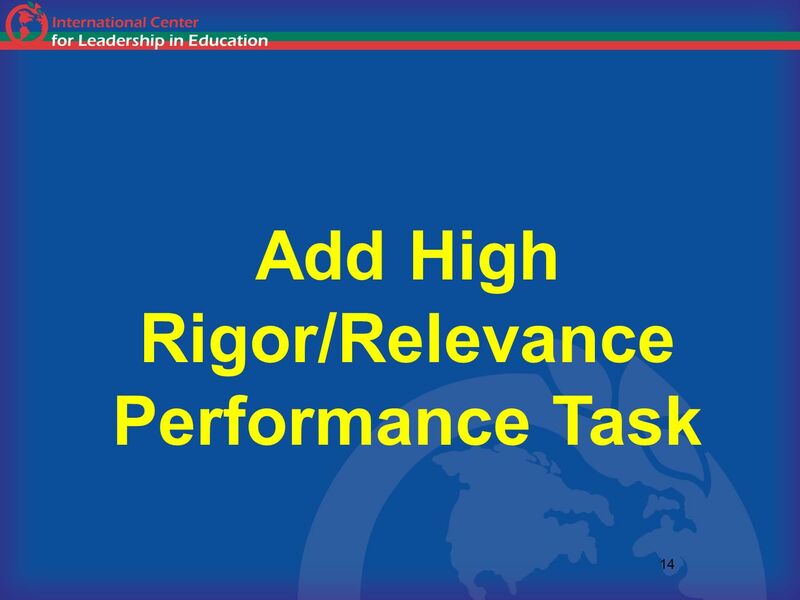 Go to the control panel in the upper right corner of your screen and click the button of. 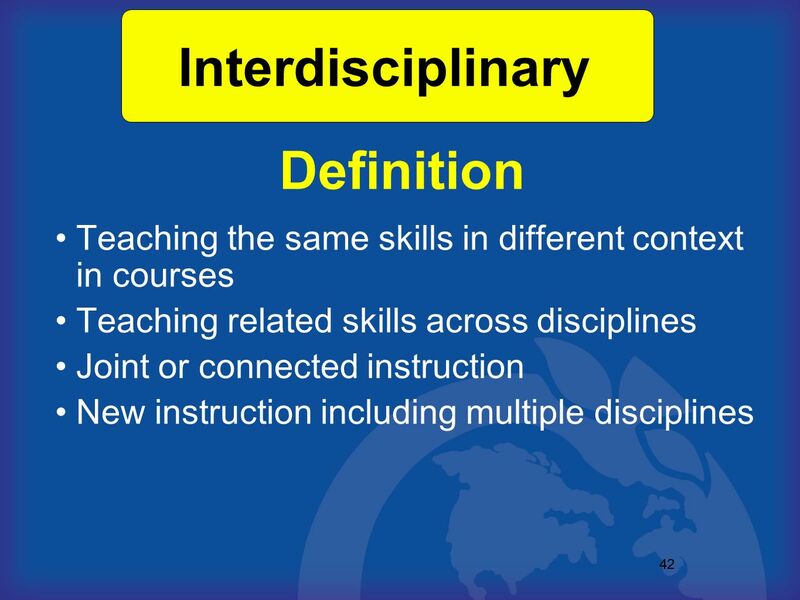 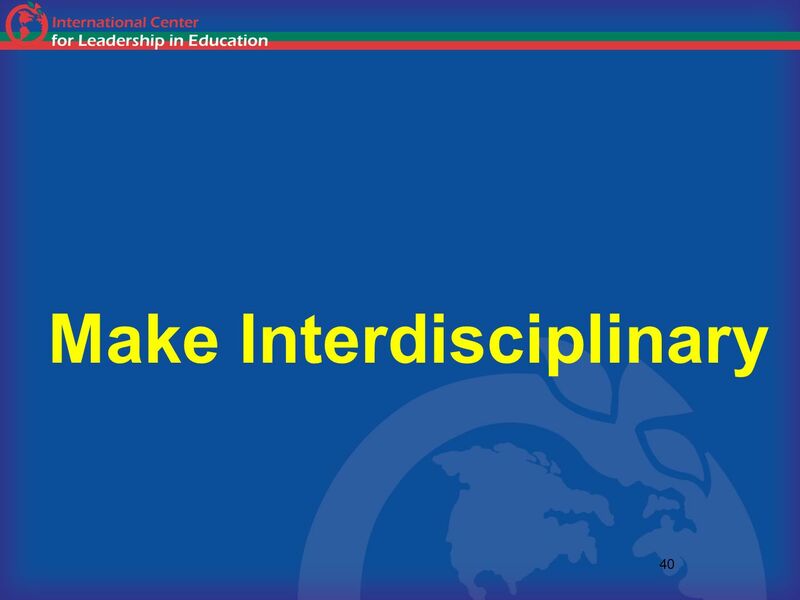 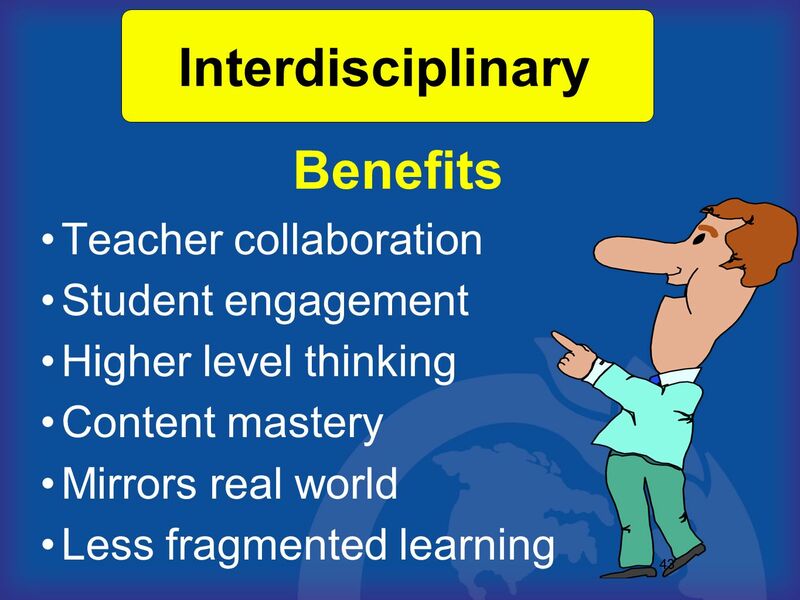 Integrating CTE and Academics Tom Venezio, Senior Consultant International Center for Leadership in Education To hear this webinar you will need to choose. 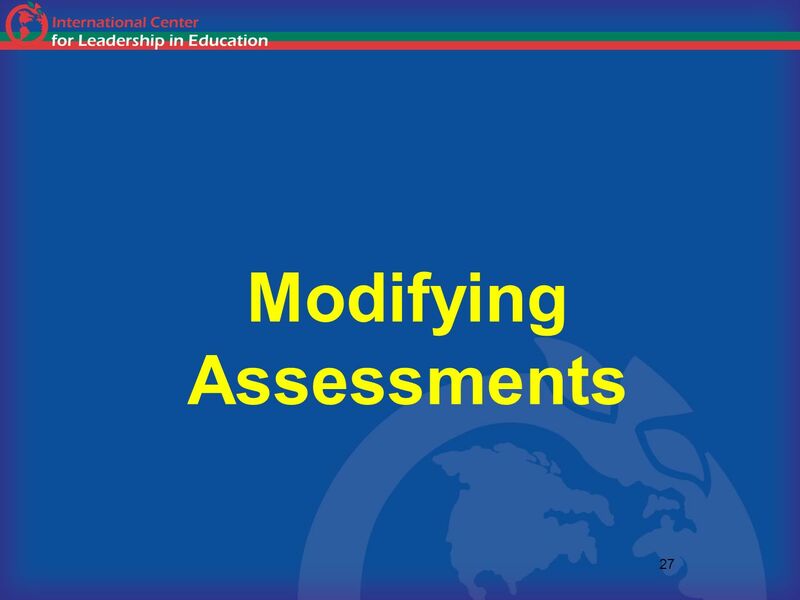 Navigating the Small Learning Community Grants: From Application to Implementation To hear this webinar you will need to choose your audio mode. 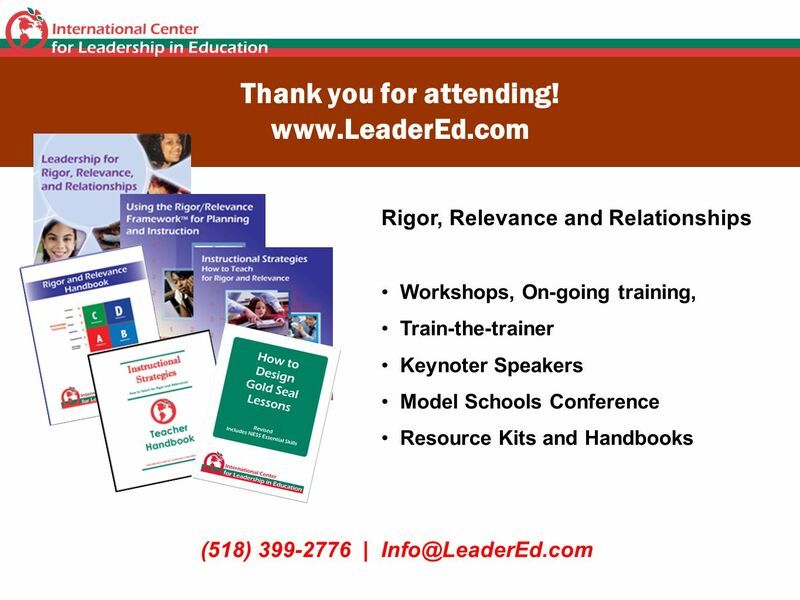 Go to.